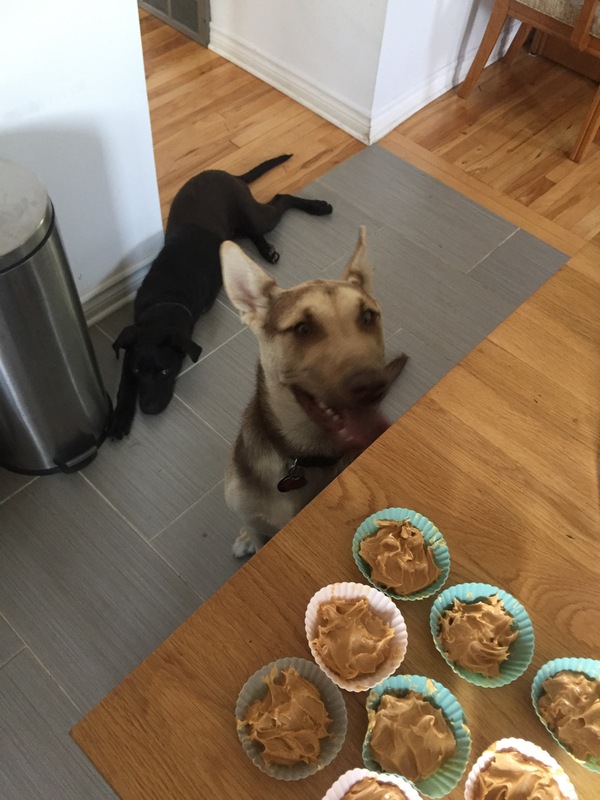 I stumbled on making homemade frozen treats when we got our first puppy, Spirit. He was teething and I could tell he was in pain and I just wanted to help ease it for him. 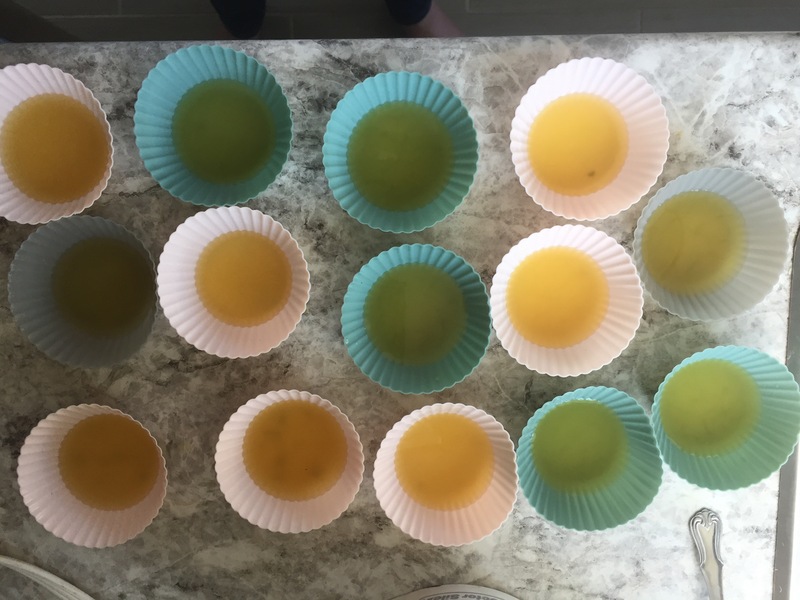 I found so many recipes with various ingredients when I decided to make my own version of all of them. Two ingredient dog treats and they are ingredients I almost always have on hand. 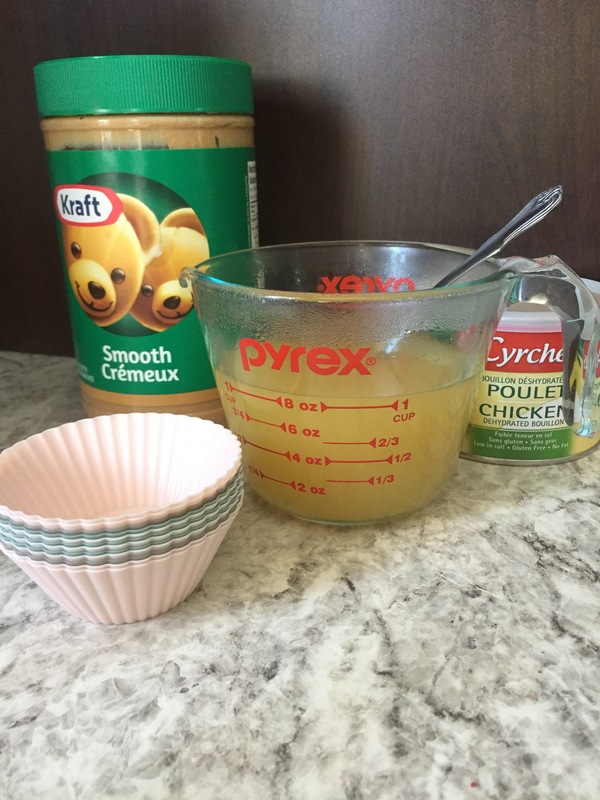 All you need are peanut butter and chicken broth/stock. Oh and a silicone mold. 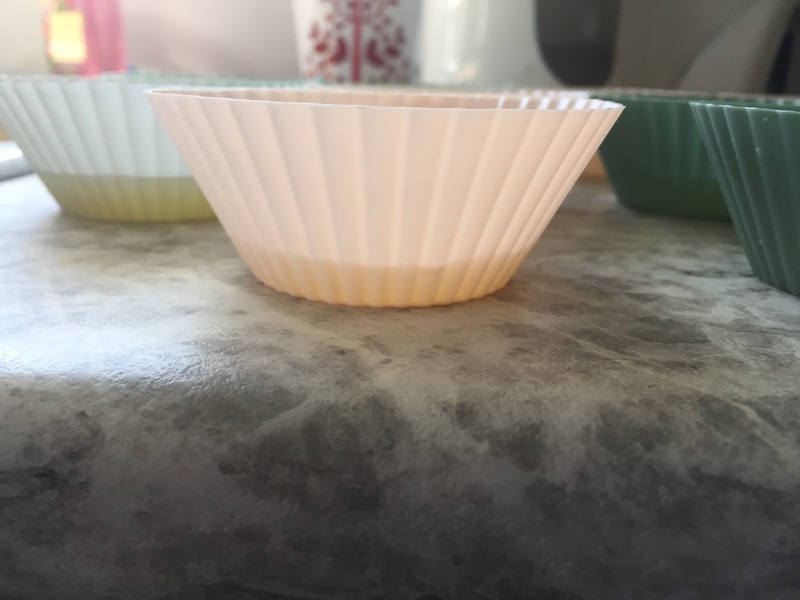 I use silicone cupcake holders because I have them on hand.. no cute shapes for my pups for now. BE AWARE OF THE PEANUT BUTTER. 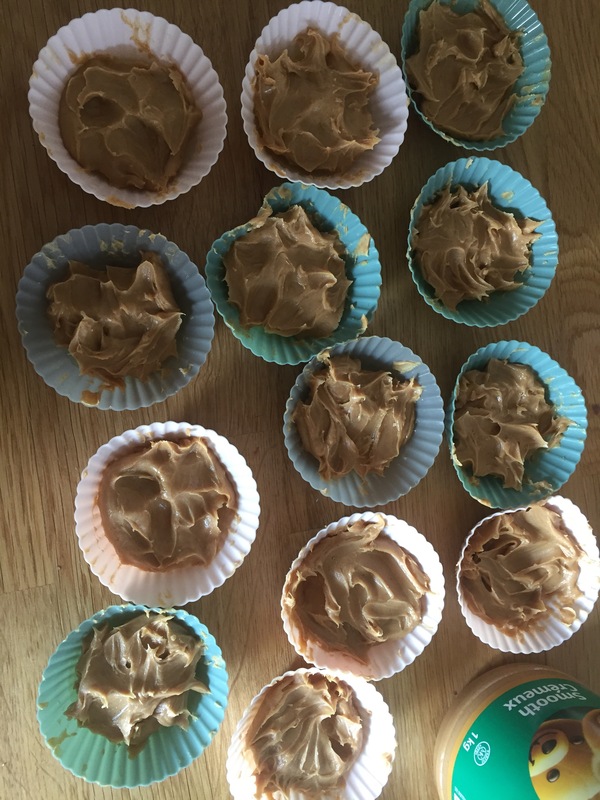 Some brands have changed their ingredients and there is one in common no name peanut butters that are very dangerous to dogs! From what I’ve discovered, Kraft and Skippy are sticking to their ingredients so they are still safe for the fur babies. The ingredient to avoid for pets is Xylitol, it’s a type of sweetner. So first, pour a little of the chicken broth into the base of the mouldings. Let that freeze for about an hour. Once frozen, put the peanut butter on top and pop them back in the freezer. That’s it. Then once they are frozen you can give them to your dogs. I used them for Spirit’s teething and now that its done and we adopted Gallagher who is also done teething. I now use them for a cool treat for them as its been hot but to be honest, I’ll probably keep using them in the winter time too because not only do they love them, I love knowing what it is that they are eating. A variation to this recipe is adding in chopped up parsley to the chicken broth but I don’t bother. It isn’t something I have around all the time but I will keep it in mind if I do have some extra at home. These are seriously like crack to Spirit. As soon as he smells that chicken broth, he is by my side! Also, if you want to learn a little more about my three-legged pups, you can head over to my bio! There are a couple more pictures of them too! 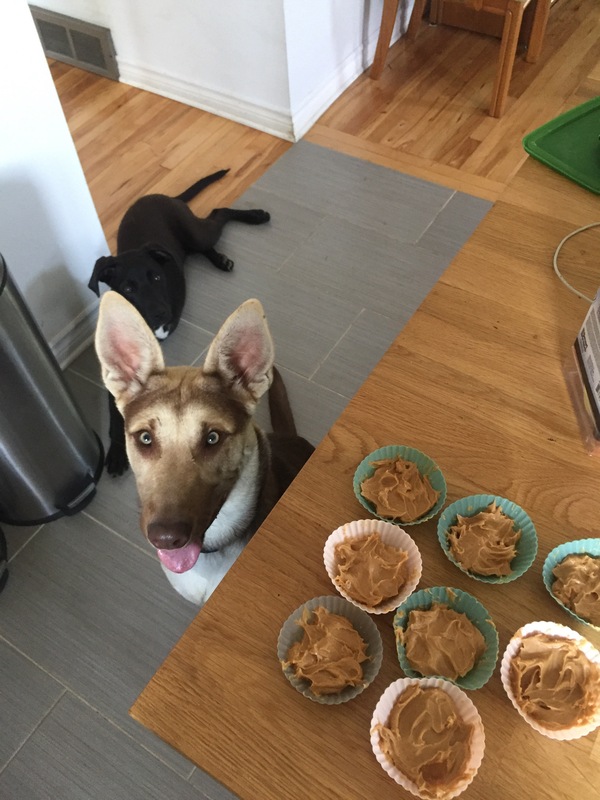 Have you guys tried to make any homemade pet treats before?